View More In Artificial Snow. This snow won't melt, in fact it's not even cold! This 7 ounce bag is enough to create a winter wonderland beneath your Christmas or to add that fresh fallen look to the branch of a live or permanent tree. This is an exclusive product made by Department 56. 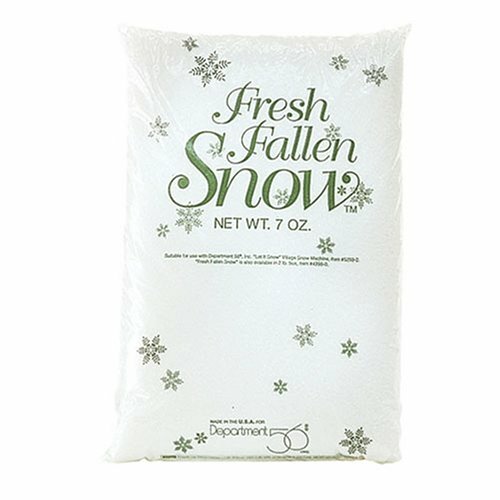 With a consistency of fine new fallen snow, this product available since 1995, is a great way to top off the backing used for your Village display. A great item to line the roadways and sidewalks.